Can You Amend an Irrevocable Trust? Irrevocable trusts play an important role in estate planning. They are used for asset protection planning as well as estate tax planning. In order to get the benefits of such planning, the trust must be irrevocable. Can You Amend Your Trust? That also means that the trust generally may not be amended. Often the document will allow the trustee to make minor amendments to comply with state or federal laws. But the trustor, the one who created the trust, cannot change the terms of the trust in any meaningful way. Sometimes, depending upon the situation, the trustor will retain a limited power of attorney over irrevocable trust assets. This power allows the trustor the ability to alter the distributions of the trust without formally amending it. However, if the trust does not give the trustor or another person such a limited power of appointment, what can be done? What about creating a new irrevocable trust and simply transferring the assets from the first trust to the new trust? This technique is called “decanting.” And there is Nevada law under N.R.S. 163.556 that specifically allows for this. The concept of decanting, that is assigning assets from one irrevocable trust to another irrevocable trust, allows you to fix problems that may exist in the original trust. Also, as life circumstances change, you may have a desire to modify the original trust. Decanting may be an answer. However, there are strict requirements and certain limitations that you must be aware of in order to accomplish this. If violated, the assignment of assets from one trust to the other may be void. This is an area of the law that is definitely not a “do-it-yourself” project. 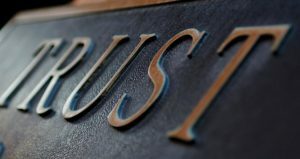 For many years, the AB-type trust has been used to reduce estate taxes by splitting the estate into two trusts upon the first spouse’s death, into an “A Trust,” which we refer to as a Survivor’s Trust, and a “B Trust,” often referred to as an Exemption Trust, Bypass Trust, or Credit Shelter Trust. This allowed for the use of both spouses’ lifetime estate tax exemptions. However, with the lifetime estate tax exemption over $5.4 million today, many of these Exemption Trusts are not really needed. The creative use of decanting may give the surviving spouse a method for legally altering, or even eliminating, the Exemption Trust. To discuss whether decanting may be an option for you, call to schedule an appointment. Or if you want to read more about the basic documents that make up an estate plan, go here.